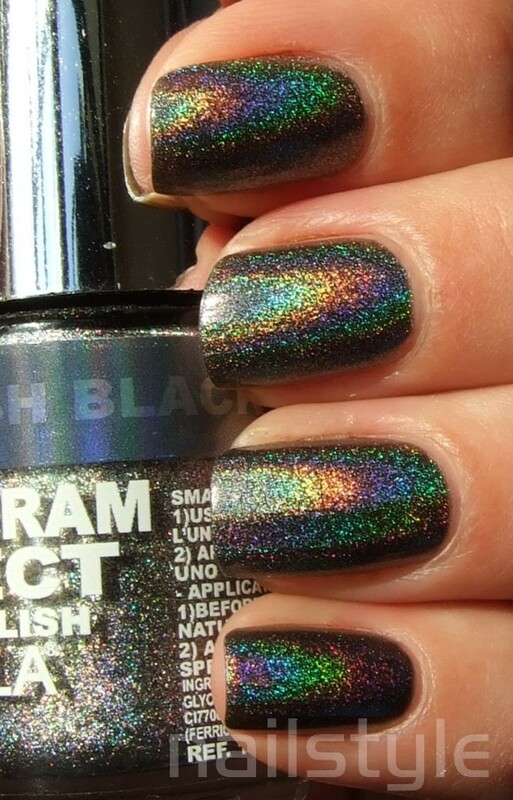 Nailstyle: Layla Flash Black - now available in NZ! I'm thrilled to finally get my hot little hands on this amazing polish after seeing all your amazing blog posts. It's now available in NZ through CandyGirl. 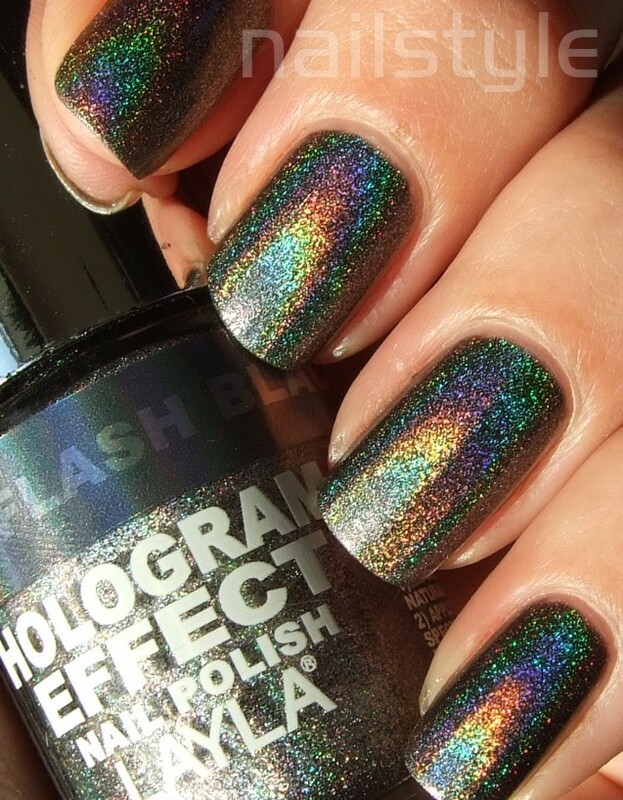 This is the most holographic polish I own and I can't stop looking at it - it could definitely be a driving hazard! I applied Nfu Oh Aquabase and didn't have any trouble with application. This shows two easy coats. 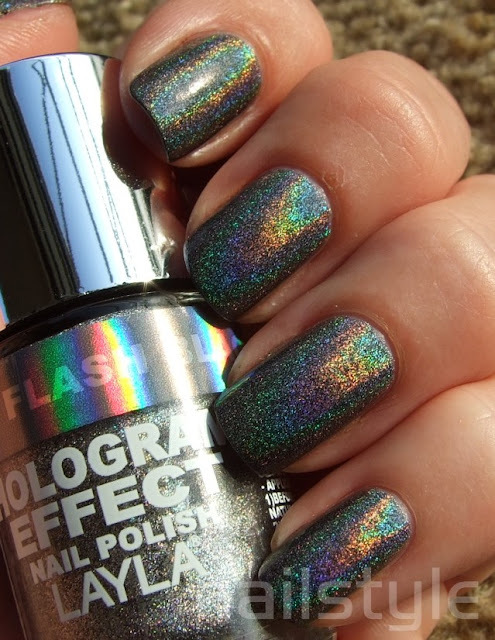 After photographing, I applied a coat of my go-to topcoat Essie Good to Go and it didn't detract from the holographicness (is that a word?) at all. 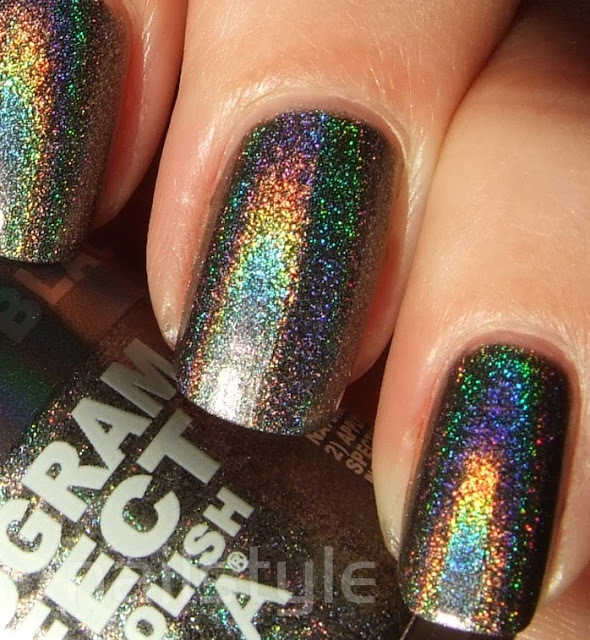 It's even holographic inside under artifical light and in the shade. 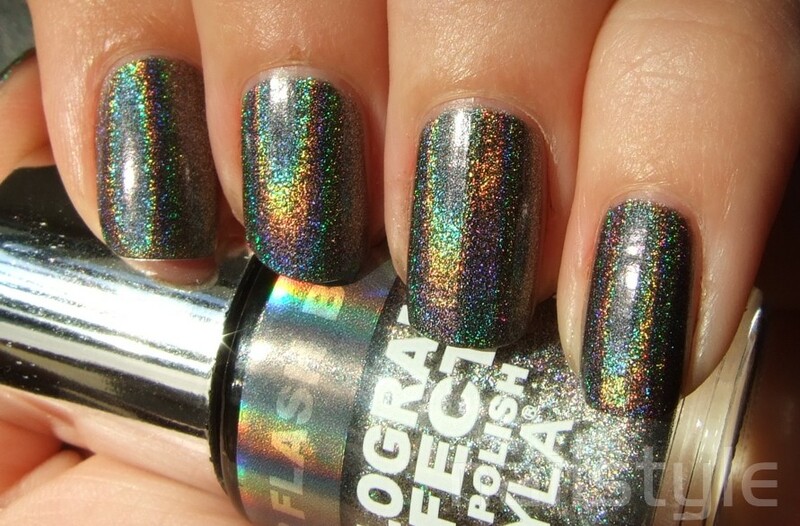 LOVE this polish! So here are the pics (sorry there's a lot!) . . .
Hehe everyone was after my sunny spot this morning . . . the temperature is definitely dropping now and we have the slow decline into winter. 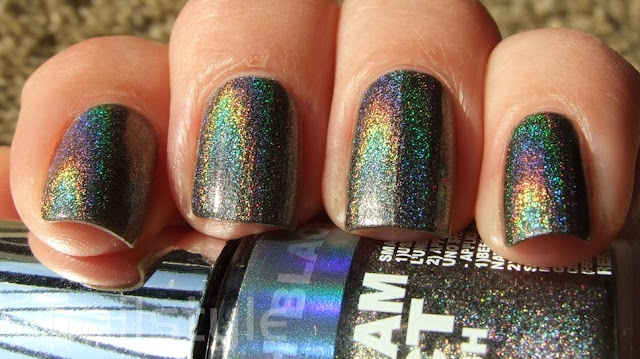 Oh i love the rainbow flashes of colour. Gorgeous! Such an awesome holo! Your cat is so pretty! 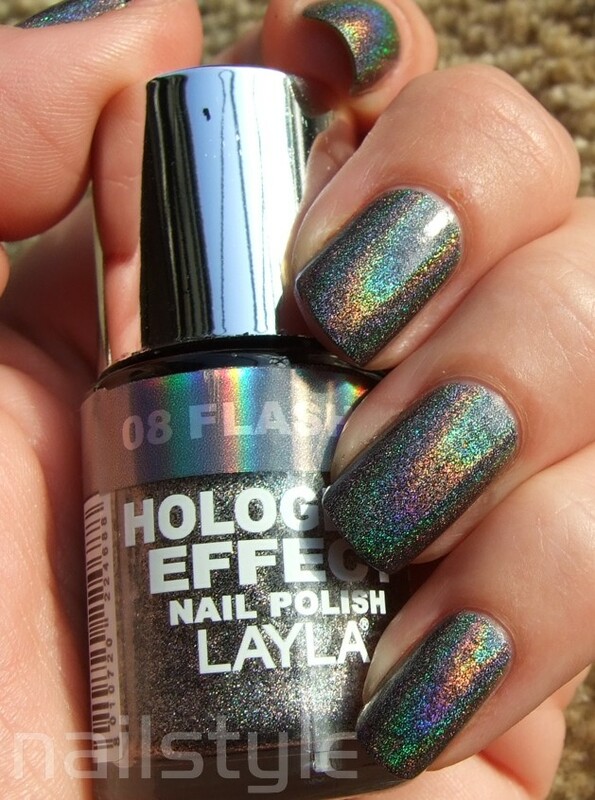 Such a pretty Holo! & your cat is gorgeous! 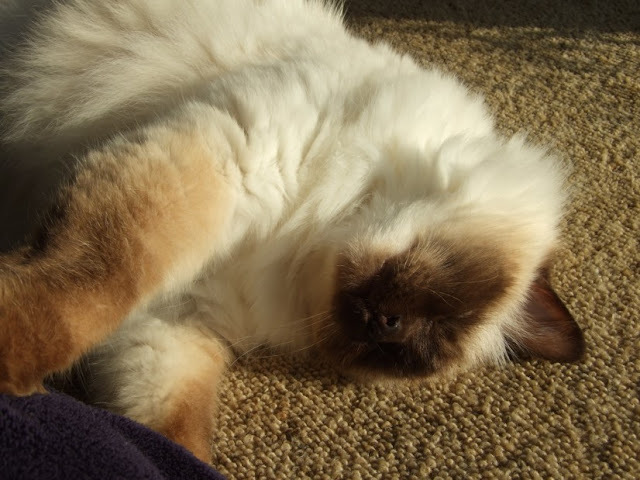 um, is that chocolate point Birman? He/she is so adorable!!! 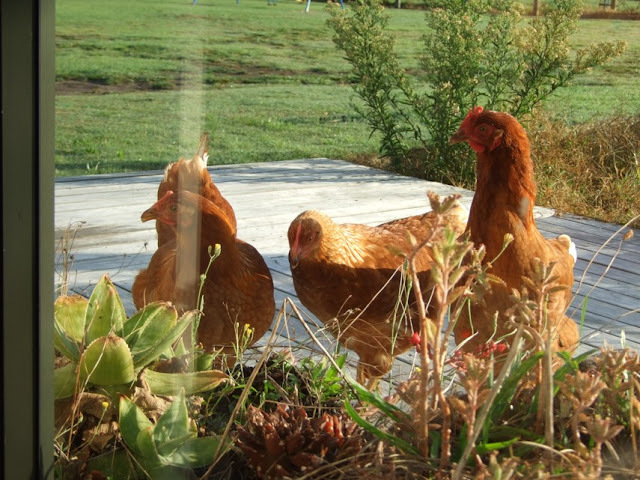 How does it get on with the hens?!!! Mine would've eaten them by now!! !